The HTC Vive is one of the latest virtual reality headsets. It has a feature called room-scale which allows the user to walk around their physical real-life room. Although it may be a hassle to set up this feature, having your room through a hologram point of view is worth all the struggle of getting everything together. 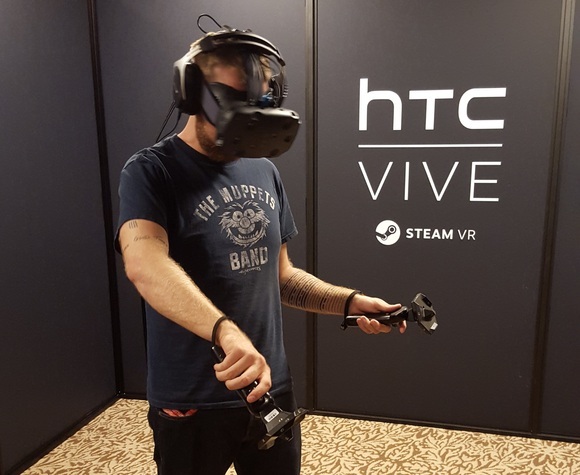 Would the HTC Vive fit in a room inside your house? The towers for Vive itself are 15 by 15 feet. The people at the Verge said that they wouldn’t even be able to fit Vive in their home office. If they were to attempt to do so, then they would have to move furniture to make it work. Also, if you are worried about hitting something, don’t be, as HTC included a visual notification to let you know when you are about to hit something in the real world, like a wall. The idea of fitting HTC Vive in an average sized room is impractical and just overkill to make it work. In reality, Vive isn’t for everyone as you need to meet certain requirements in terms of space. To read more click here. Previous article Microsoft Outlook: Now Available on Android Wear!